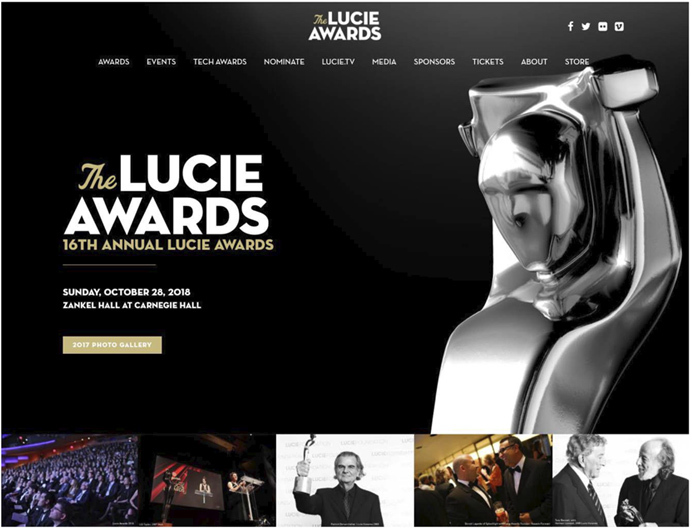 The Lucie Awards is the premiere annual event honoring the greatest achievements in photography. The photography community from around the globe pays tribute to the most outstanding people in the field. 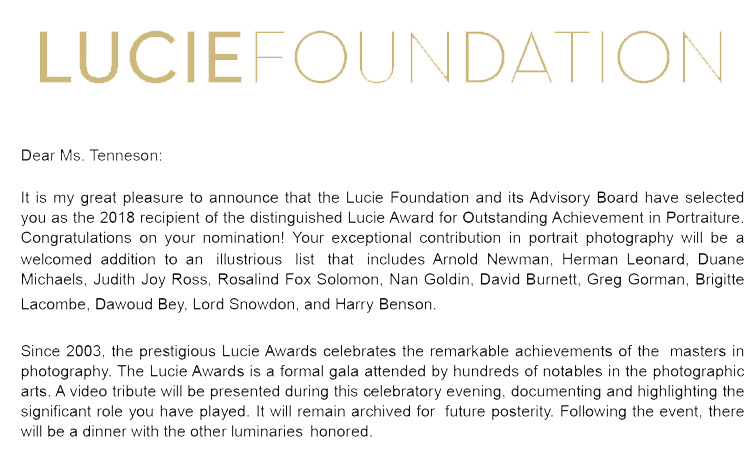 Each year, the Lucie Advisory board nominates deserving individuals across a variety of categories. Once these nominations have been received, an honoree in each category is selected.